World War I Museum Opens in Kansas City, Mo. 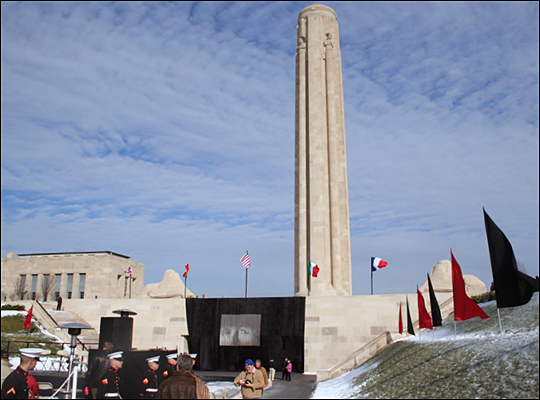 The long-awaited World War I Museum opened to the public Saturday in Kansas City, Mo. Designed by the architect who created Washington D.C.'s Holocaust Museum, this new museum houses the nation's second-largest collection of World War I memorabilia. World War I Museum Opens in Kansas City, Mo. 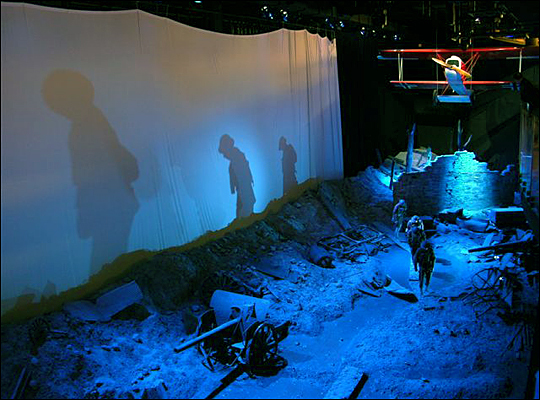 Soldiers walk through a simulated war zone in an exhibits presented at the National World War I Museum. Supporters gather Nov. 2, 2006, to mark the opening of the Liberty Memorial in Kansas City, Mo., which houses the new National World War I Museum. World War I was a cataclysm that destroyed the old world order, killed at least 9 million combatants, and vaulted the United States into world prominence. 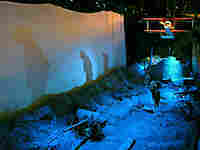 But the conflict, with its trench warfare and devastating new weapons, has been largely overshadowed by World War II. The hard lessons of the "Great War" are on display at the National World War I Museum in Kansas City, Mo., which opened this weekend. 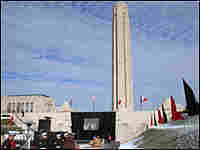 The Liberty Memorial is an 80-year-old monolith towering 250 feet above a hill top in Kansas City. It's the nation's biggest monument to the people who fought in the "War to End all Wars," and has attracted the country's largest collection of that war's artifacts. Kansas City recently restored that memorial and put the museum here, too. The museum is laden with memorabilia both historical and symbolic: a glass bridge crossing a field of 9,000 artificial poppy blooms, each one representing a thousand soldiers killed in World War I; simulated trenches with gas masks, weapons and helmets; and graphic archival footage of the collision of military tactics, machine guns, high-powered artillery and poison gas. Organizers say that if the new National World War One Museum works as designed, it will encourage people to think hard about the fragility of peace, and the price of war. Frank Morris is a reporter for member station KCUR.